28.06.2017. A Georgian wine company is returning from the biggest wine contest in Poland with two gold medals. White dry wine Kisi 2015 and red dry wine Mukuzani 2015 of Georgian wine company Shilda Winery won gold medals at the international wine contest Galicja Vitis 2017, which was held on June 22-23 in Krakow. These golden medals are very important for raising awareness of Georgian wine in Poland, said deputy head of PR and Marketing Department at the Georgian National Wine Agency Tamta Kvelaidze, who was invited as a jury member at the competition. 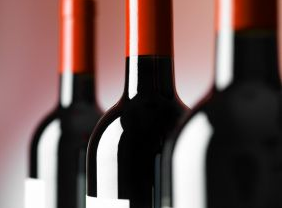 For the first time this year a new category was added to the competition – a qvevri wine category – which is another step forward popularizing Georgian wine and increasing its export to Poland,” she added. 23.06.2017. A new book on the wines and winemaking culture of Georgia by award-winning wine writer Miquel Hudin has been released. ‘Georgia: A guide to the cradle of wine’ was officially presented on 9 June at the opening of Winexpo in the Caucasian country’s capital Tbilisi but is now available for purchase globally. 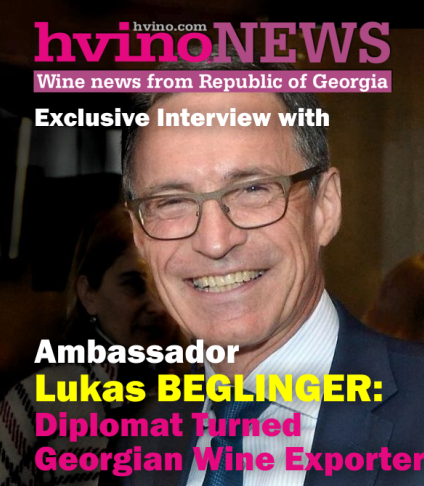 The book, the latest in Hudin’s self-published ‘Vinologue’ series, was co-written by Hudin, who was granted the Geoffrey Roberts Award in 2016 as he began his research, with help from Georgian food and travel expert Daria Kholodilina. 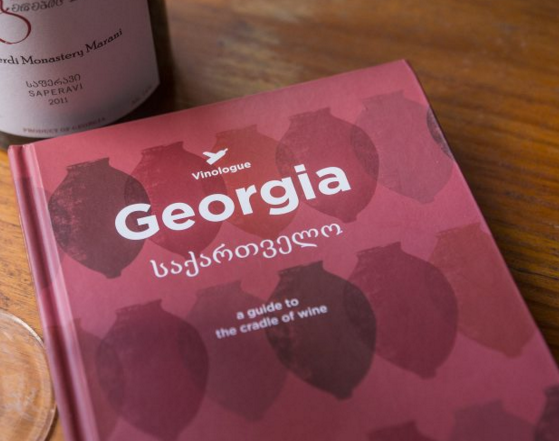 With over 300 pages and numerous photographs, maps and cellar listings, the book focuses on what first-time visitors to the country or even experienced wine professionals can expect from Georgia’s wine and food culture. 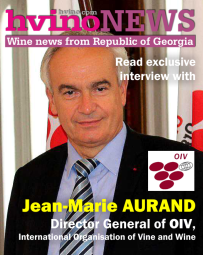 There is a special emphasis on that most iconic of Georgian winemaking tools – the ‘qvevri’ – as well as the evolution of Georgian winemaking and experimentation with different techniques as well as the impact of greater global interest in the country’s wines. The book is available to buy at www.vinologue.com. 20.06.2017. A large-scale advertising campaign is planned for Georgian wine, which will be launched by international communication and marketing agency for food, wine, and lifestyle Sopexa. This was decided at yesterday’s meeting in France between Georgia’s Agriculture Minister Levan Davitashvili and the business development manager at Sopexa Anne-Sophie Hottiaux. Georgian wine will be promoted over four months to strategic countries within the prestigious wine festival at the Bordeaux Centre for Wine and Civilisations in France. Georgia is invited as a special guest for the event to showcase the history and culture of Georgian wine. Georgia will present a solo exhibition celebrating its traditional winemaking and viticulture at Bordeaux Centre for Wine and Civilisations. Georgia’s exhibition will be named Vineyard-Georgia and be held from July-October 2017 (read more: In 2017 the year of Georgia in Bordeaux will be celebrated at new Center for Wine and Civilizations). 19.06.2017 (Hvino News). 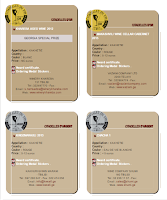 The Citadelles du Vin wine contest was held on June 10-12 in Bourg (near Bordeaux, France). For the 17th time, wine professionals from all over the world came together to determine the best wine producers during the three-day tasting. The winners were solemnly announced on June 17, 2017, during the Vinexpo Bordeaux exhibition. 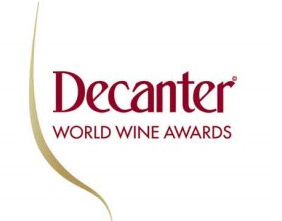 "For us to get highest appraisal on Cabernet made in qvevri, and especially in Cabernet's homeland - in France - is great success," - said Natia Metreveli, CEO of Vaziani Company, - "I have been invited and attended the award ceremony in Bordeaux, as we were also nominated for Wine Trophy. 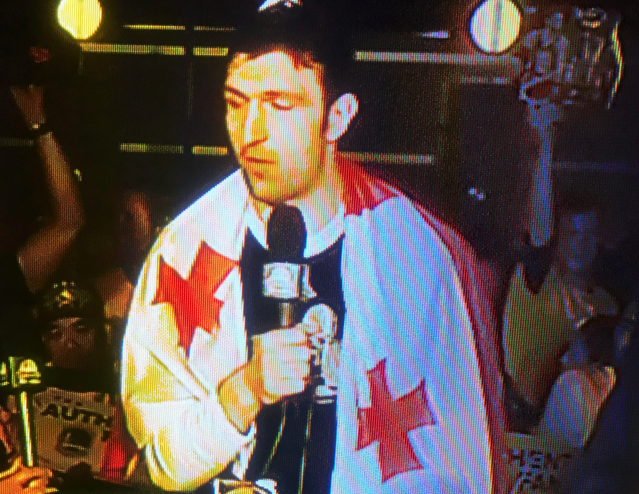 I am happy that a Georgian company got this special prize". On the same day the Dubs beat the Cavs and won the NBA Title, the Georgian Wine Association and National Wine Agency of Georgia held a tasting at the San Francisco Wine School with a few importers. I’d say this was fate although my lucky shirt might have had something to do with it. 17.06.2017. We met Yutaka Kitajima, the Japanese wine writer, at a wine tasting event Qvevri Wines from Outside Georgia, organized as part of the New Wine Festival in 2016. We enjoyed the wines made in the Georgian qvevri by French, Italian, German, Austrian, Slovenian and Japanese winemakers. That day marked the beginning of our friendship and cooperation. 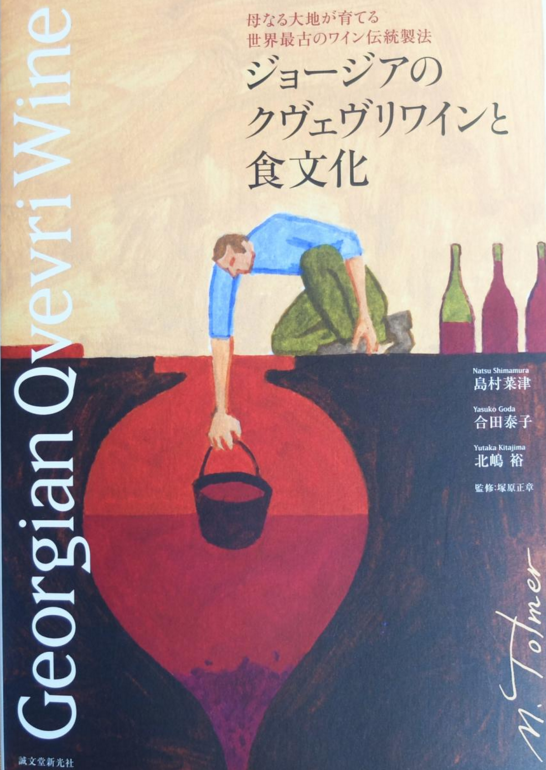 The Wine Club received a very special gift from our Japanese friend a few days ago – an excellent book Georgian Qvevri Wine, telling the story of the Georgian qvevri wine tradition in Japanese. 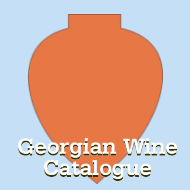 The book consists of two sections: Section One – Qvevri Wine in Georgia and Section Two – Food and Culture in Georgia. The introductory part provides a review of the Georgian vine species. Separate chapters are dedicated to the Georgian winemakers: Soliko Tsaishvili (Our Wine), Nikoloz Antadze (Antadze Marani), John Wurdeman (Pheasant’s Tears), Archil Natsvlishvili (Kerovani), Iago Bitarishvili (Iago's Wine), Ramaz Nikoladze (Nikoladze Marani), Gaioz Sopromadze (Gaioz Sopromadze Marani), Gogita Makaridze (Makaridze Marani), Zurab Topuridze (Iberieli), along with Zaliko Bozhadze, the qvevri master, and the New Wine Festival 2016. 15.06.2017 (Hvino News). The major international wine and spirits trade event Vinexpo will be held in Bordeaux (France) from 18 to 21 June 2017. This year 25 companies from Georgia will show products at Vinexpo. This is a large progress compared to previous years, and almost all companies are marked as "new participants". (Generally, Vinexpo 2017 has 236 new participants). The full list of Georgian companies at Vinexpo follows below. 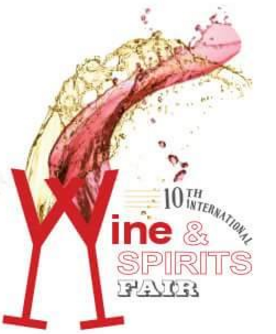 Within the framework of the exhibition there will be a seminar and tasting of Georgian wines, guided by chairman of the NWA Giorgi Samanishvili and the head NWA's tasting commission, vice-president of OIV Anna Godabrelidze. 14.07.2017. On June 13, ICC Georgia held its 14th Consultative Board Meeting at Biltmore Hotel in a closed working meeting that included exclusively ICC Executive Board, ICC Consultative Board and the Chairs of ICC Commissions. Mr. Fady Asly- Chairman of ICC Georgia gave Introductory remarks and welcomed to the Consultative Board Members. Mr. Asly overviewed the degrading business climate. Ms. Eka Gigauri, Executive Director of Transparency International Georgia overviewed the realities of the Georgian judiciary. Mr. Aleksadre Meladze- Lawyer of Georgian American Alloys informed the attendees of the chain of criminal events that resulted in a technical expropriation of the shareholders. 13.06.2017. (Hvino News). The International Wine and Spirits Exhibition ''WinExpo Georgia 2017'' hosted the 9th International Wine Award 2017 on June 9-10. 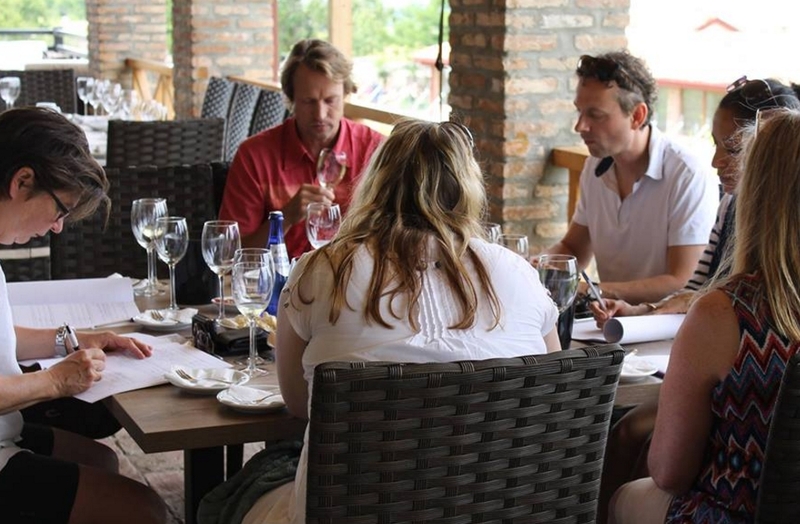 In total 43 companies presented 164 different types of wine at the contest. On June 10, the awards were presented in six categories: gold (26 medals), silver (36), bronze (84) medals and international diplomas. The best wines of the year are Saperavi Georgica 2013 by Shumi and Mtsvane Qvevris 2016 produced by the Qvevri Wine Cellar. 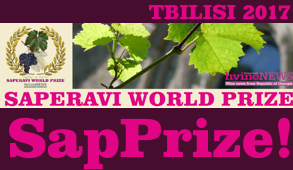 The Minister of Agriculture Levan Davitashvili, the Chairman of the National Wine Agency Giorgi Samanishvili and jury members awarded the winners. 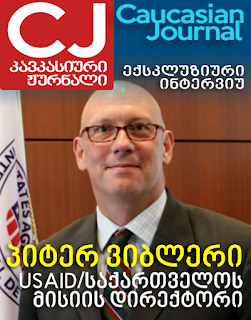 Levan Davitashvili said: 'The number of participants and winners in this year's competition is really impressive. Apparently, wine sector is developing rapidly, new wine companies are created, modern technologies are introduced and high quality wine is produced in Georgia. 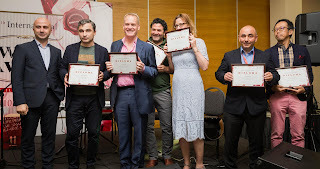 It should be noted, that the jury members of the competition are the world's best wine experts and specialists, therefore, their opinions and assessments are important for us as this will further lead to promote the Georgian wine in the international market". 13.06.2017 (Hvino News). Yesterday the British online business resource The Buyer published a detailed article focusing on Georgian wines entitled "Make Georgian wines heroes on your wine list". 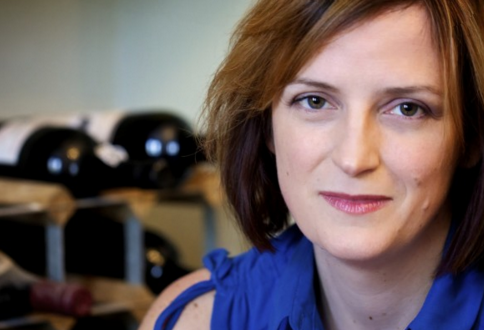 The author is Sarah Abbott MA (Master of Wine), a British wine expert. "The wine trade and consumers alike are increasingly looking for wines with history, tradition and a genuine back story. Well, they don’t get much more authentic than wines from Georgia. It might have been making wines for centuries, but it has only been in the last few years that its unique qvevri-style wines are capturing the imagination of our wine buyers and adventurous wine drinkers," - the author wrote in her introduction. The biggest challenge about Georgia, according to Ms. Abbott, is "that so few people know where it is. Even now in the UK when we talk to consumers – and even trade – we have to say “The Country of Georgia, not the US state”. But other than that, Georgia is in a fantastic position. The wine potential is huge and is increasingly being met. They have thousands of years of unbroken wine tradition, hundreds of native varieties, diverse wine styles, and a wide range of price points. It has not focused on easy drinking low cost international varieties. In fact, Georgia doesn’t really do large volumes of low-cost wine in the way that Romania can, or that Moldova could do. The terrain is too mountainous, and the grip of the indigenous varieties is too strong. Georgia’s positioning is more like New Zealand in terms of price and quantity. It has varieties that you can’t find anywhere else. 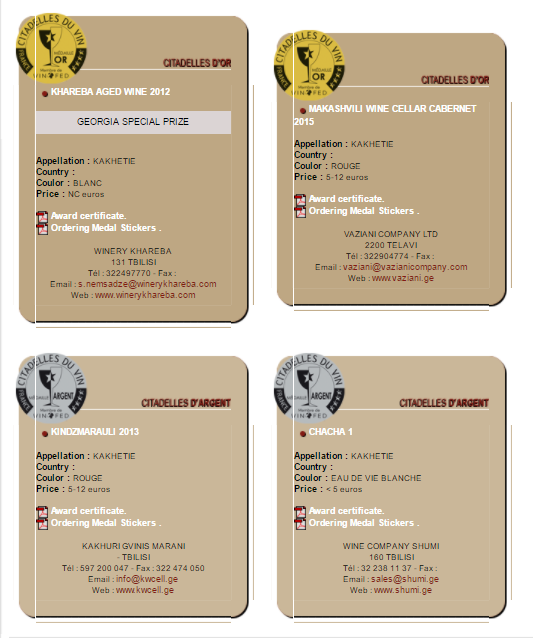 And of course, Georgia has Qvevri wines, which are a specialist wine style with niche but powerfully emotional appeal." 08.06.2017 (Hvino News). Famous South Korean oenologist Jin-Sik Bang recently visited Georgia. 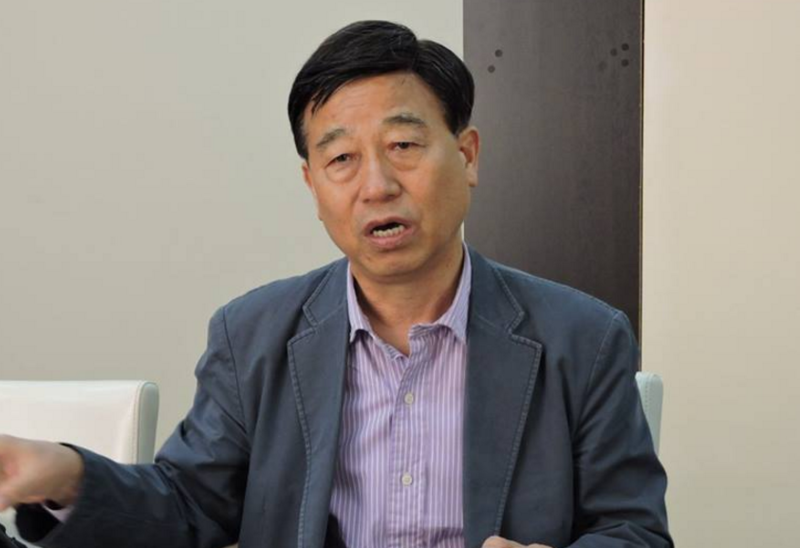 A columnist for “Korean Air” inflight magazine with circulation of almost a million copies, professor Jin-Sik Bang plans to focus his 100th anniversary article on Georgian wine. Jin-Sik Bang visited National Wine Agency and met with the deputy chairman of National Wine Agency Andro Aslanishvili and the head of marketing department Irakli Cholobargia. He saw the cellar, oenotheca and museum of the Agency. Irakli Cholobargia noted that Georgian wine export to South Korea has been progressing over recent years. “Decision on writing an article about Georgian wine was made by the managers of “Korean Air”. From August till the end of the year, articles on Georgian wine will be published in 4 editions and one of them will be the 100th anniversary article. The on-board journal will be distributed in each airplane and the branches of the company in 130 countries” - said Mr. Cholobargia. 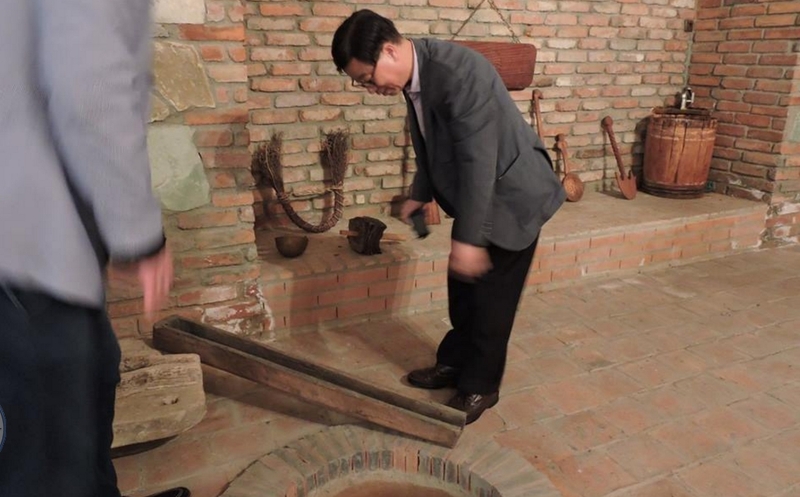 During his tour in Georgia, South Korean wine professional visited the following Georgian wine companies: Telavi Wine Cellar, Satsnakheli, Teliani Valley, Maranuli, Chateau Mukhrani, also he visited qvevri-maker Zaza Kbilashvili in Kakheti. This was the first visit of Jin-Sik Bang in Georgia, which was supported by the Embassy of Georgia in South Korea. 02.06.2017. The Georgian National Committee of the International Chamber of Commerce ICC- Georgia would like once again to address the recent developments in the judicial system of the country. The Georgian Judiciary is perceived as bias, unreliable, and corrupt. 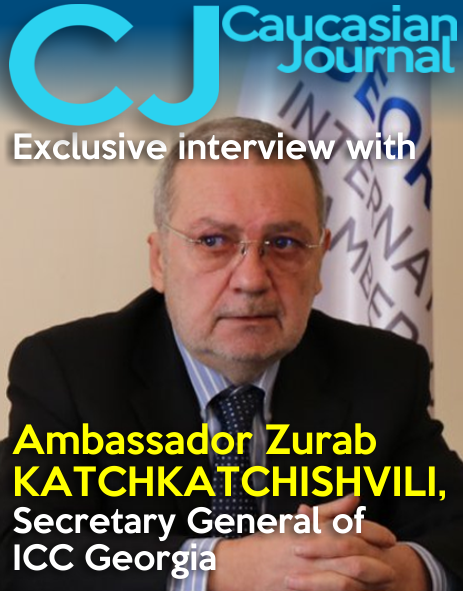 This perception has increased dramatically in the past years and a very large number of businesses both Georgian and foreign have been defrauded by the Georgian Courts by what is seen as a travesty of Justice. An increasing number of businesses including many of ICC members and some of them very large investors are extremely dissatisfied with the quality of justice delivered by the Georgian Courts and do report to us very serious flaws in the administration of justice. 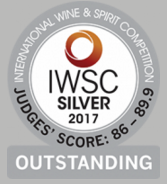 01.06.2017 (Hvino News) The results of International Wine & Spirit Competition (IWSC) '2017 have been announced recently in London. Georgian wines have received 47 silver and bronze awards of this prestigious wine contest. 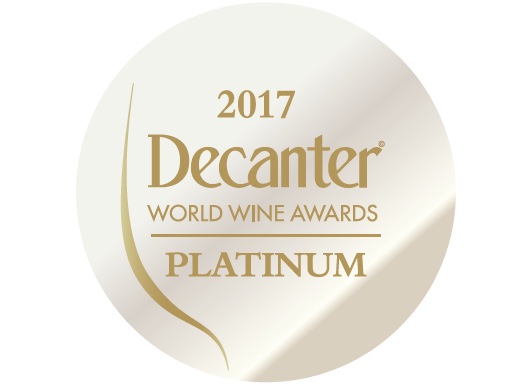 Among 2017's winners two wines were awarded with Special Silver Outstanding Award, both of them produced by Telavi Wine Cellar.